"Wallet Weapon is extremely deceptive and very devious! A must for all close up performers! "- James Brown //Professional Opportunist. 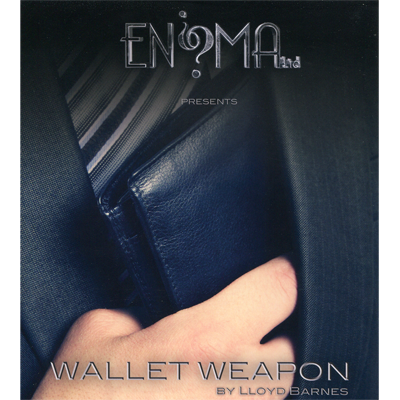 The Wallet Weapon is a powerful, unique and dynamic utility device that you'll carry with you at all times. Specifically designed to be built in to your wallet with materials you almost certainly have at home right now. Switch playing cards, banknotes, predictions and even perform visual changes that leave you totally clean. The possibilities for this are only limited by your own imagination. Easy to construct. One second reset. Perfect for walk around performers.